Dashrath Manjhi (The Mountain Man), a laborer from Bihar wanted his people to have access to doctors, jobs, education, and opportunities. Armed with only a hammer, chisel, and crowbar, he carved a road through the 300-foot mountain that isolated his village from the nearest town. Even after he built the road, Manjhi continued to campaign for the progress of his people. Through his efforts, the people of Gehlour village in Atri, Bihar, now have a small hospital and a bridge across the river. However, 55 years later, his people continue to remain economically backward. Few have graduated class 10. Jobs are scarce. To that end, Vinobaji has donated 20 acres of his own land to setup a residential employment training school for the local youth. In addition to studying in the formal education system, the residential school aims to revive the indigenous art of the local community. It will train students in various art forms, and equip them to create and sell indigenous art to a global market. Besides art, the school will also train local youth in better-paying livelihood skills, such as electrical wiring, machine repair, etc., which have a large demand in the local job market. This will empower local youth who cannot access the limited jobs in rural Bihar. They can have better paying opportunities beyond the hard labor or unemployment they endure. The story of Manjhi and Vinobaji’s Gehlour epitomizes everything that we at Milaap stand for: the common man's ability to move mountains and uplift those around. Having visited Gehlour and evaluated the situation on the ground, we are convinced of Vinobaji’s plan to uplift the local youth through employment training. 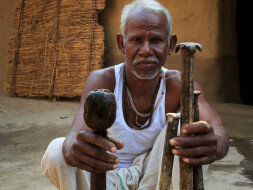 Milaap is working to connect Vinobaji to supporters around the world, and to help attract global recognition and funding for his residential employment training school in Gehlour, Bihar. Your donations will empower these local rural youth, whose families have been socio-economically backward and deprived for decades. It will help them to carve their own progress, create their own jobs, and build their own opportunities. The people of Gehlour wish to express their gratitude for your help. Without your support, they would not access the help they require. Your generous gesture has ensured that Gehlour's children have a better, brighter future. 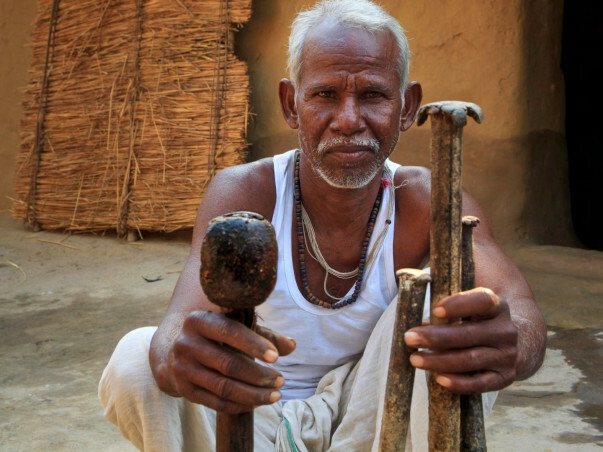 Dashrath Manjhi wanted nothing more than his community to prosper – and you have made sure that his dream sees the light of the day. On behalf of Gehlour, here's Ramcharit Prasad, Manjhi's aide and confidante, and trustee of the Dashrath Manjhi trust, conveying his heartfelt thanks to you.